Modena’s singing tradition is the outcome of a mentality and an organisational structure which have grown organically over the centuries, fostered by institutions which have always viewed music as a key ingredient in the city’s identity. AAs long ago as the 16th Century, the influence of the choirs of the great monasteries such as Nonantola and Pomposa was quickly felt in nearby Modena. The Mantua of Monteverdi, the Gonzagas and De Wert was a near neighbour, and the link to the Ferrara madrigal school dominated by leading figures such as Luca Marenzio, Claudio Merulo, Cipriano de Rore and Alessandro Striggio nurtured a refined taste in secular music, supported on the literary plane by exclusive centres of culture such as the Accademia degli Unanimi in Sassuolo. And most important of all was the sharing of sound musical knowledge by the fine musicians who led the Cappella Musicale del Duomo, or Cathedral Choir, starting obviously with Orazio Vecchi, who dominated Modena’s musical life in the second half of the 16th Century. His successors Marco Uccellini and Giovanni Maria Bononcini laid the educational foundations for generations of cantors who also enjoyed a parallel career in the theatre. The church-stage duality was a phenomenon found in many Italian cities in the 17th and 18th Centuries. 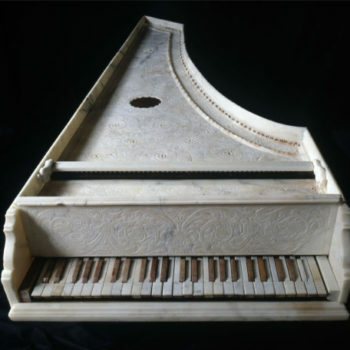 However, in Modena a key factor was the attitude of the individual Dukes. 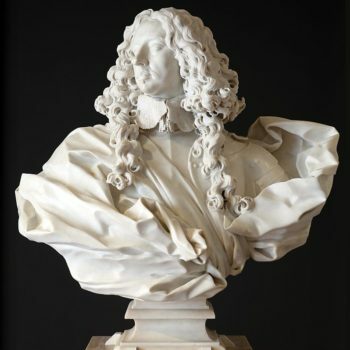 Francesco I welcomed the librettist and theorbo player Benedetto Ferrari – who, together with Francesco Manelli, opened the first public theatres in Venice – to Modena, and made him director of music to the Court and to the Teatro Ducale di Piazza, or Ducal Public theatre, where Andromeda was presented in 1656, in what appears to have been the city’s first opera production. His grandson Francesco II also promoted music in the city: not just opera, with the rebuilding in 1685 of the Teatro Valentini (the “Comunale Vecchio”), which had burnt down four years earlier and reopened with “Il Vespasiano” by Carlo Pallavicino, but also the oratorios performed in the church of San Carlo Rotondo, no longer extant, where the city’s inhabitants were able to hear works by Legrenzi, Stradella and Bononcini. 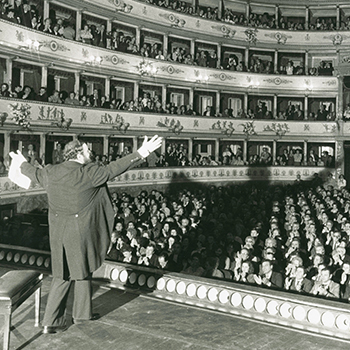 Modena was famed for its wealth of theatres, which ensured the continuity of musical life and guaranteed a constant flow of singers, fed the public taste and helped to form the city’s identity. When the great Teatro Ducale di Piazza, so admired even by Louis XIV, the “Sun King”, was reserved for performances of the members of the Collegio dei Nobili, opera productions moved to the nearby Teatro Molza, opened in 1713, and when they were both destroyed in 1769 they were succeeded by the Comunale Vecchio, and then the Corte Theatre until 1859, while for about forty years from 1795 performances were also staged in the San Rocco hall on via San Michele, through to the inauguration of today’s Teatro Comunale in 1841. 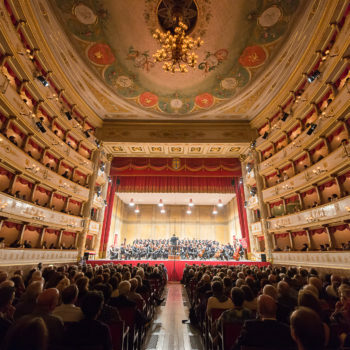 The availability of a modern theatre is not sufficient to explain 19th Century Modena’s ability to attract the greatest Italian singers, ambitious professionals eager to advance their careers by singing in the “cartel” opera houses. The decisive factor was the theatre management, with departments specifically assigned to the coordination of the opera seasons, and the well established musical associations which kept music clearly in the forefront of the city’s interests. 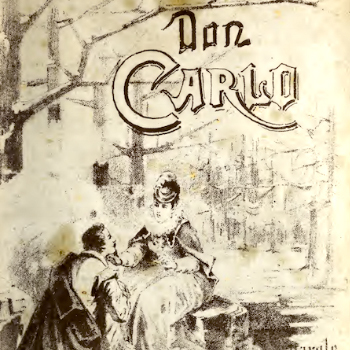 This enabled the Teatro Comunale to attract constantly high audiences, permitting it to stage new works and attract leading singers, reflected in important productions which would go down in history, such as the first presentation of the five-act, no ballet version of Verdi’s Don Carlos in 1886. An unbroken line can be traced from Modena’s first acclaimed singers in the mid 17th Century (Gianfrancesco Grossi and Antonio Borosini and his son Francesco), onward to the first half of the 20th Century with Giuseppe Kashmann, Ezio Pinza, Mariano Stabile and Beniamino Gigli, through to the stars of the Post War era. More than 300 years of excellence, supported by sound theatrical planning in a terrain of centuries-old professional expertise and the expectations of a cultured public always eager to embrace the new. Obviously, it is no coincidence that this fertile soil has provided our age with a rich harvest of magnificent voices: Luciano Pavarotti, Mirella Freni, Nicolai Ghiaurov and Raina Kabaivanska. Amongst earlier generations, we must also recall Arrigo Pola, a tenor of international calibre and one of Luciano Pavarotti’s first teachers.